Lizz Wright received the Ella Fitzgerald Prize for her contributions to Jazz on Wednesday evening. Photo by Jesse Kitt, courtesy of the Montreal Jazz Festival. 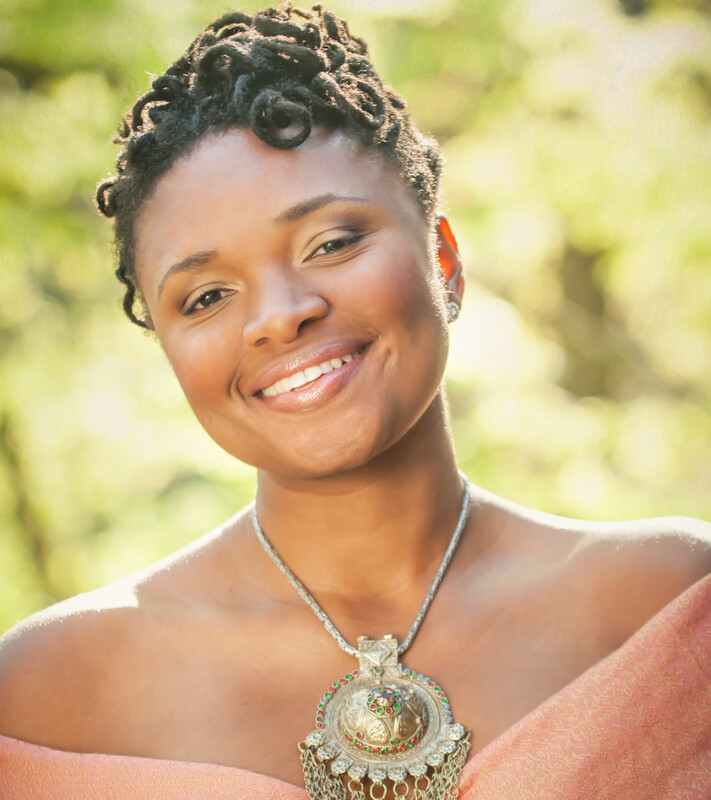 What do Lizz Wright and Ella Fitzgerald have in common? A lot, actually, if you think about it. Today, it’s a lot-plus-one, because Wednesday evening Georgian singer Lizz Wright received the Montreal Jazz Festival’s Ella Fitzgerald Prize for contributions to contemporary jazz vocals. “We have a magic moment for you,” festival Vice President Laurent Saulnier told the audience of Wright’s show just before it began at the Monument National Theatre. He explained the prize, then Wright came out to a standing ovation and picked up the little metal microphone. “Ella Fitzgerald,” said Wright, “is a legacy of joy.” She said she wanted to call on the same clarity of soul that Fitzgerald possessed in her music. Wright sang for a bit over an hour, plus a two-song encore. Her voice is elemental but tightly controlled, like a hurricane in a cocktail dress. It always feels like she’s holding something back, even when she’s just humming. You can also hear in the hymnal vibrato that she’s ready to take it to church—musically, proverbially, literally. It’s her gospel roots. During her opening medley, with just a piano, those elements were most clear because there wasn’t any guitar or drums or bass fighting for attention. Playing standards like “Give Me the Simple Life” or “What is This Thing Called Love,” the subtleties of how she plays with the words stand out. She’ll laugh at the songs like an old friend, but still laugh on-key. When the rest of the band comes on, the textures and quality of her voice end up being factors that blend and shape the mix instead of being things to isolate and appreciate when the instrumental support is pared down. Regarding power and restraint: Wright’s ability to make the audience feel like she has something more to give keeps them engaged in a state of suspense, but it would be useless if the band couldn’t match her. They did. The band was solid and attentive and listened to each other and to her. It was actually really enlightening to see that at one point the drummer decided mid-stroke not to hit the crash cymbal. The music was unique and changing. Jazz! Plus the pianist/organist Kenny Banks killed it, as the kids say. Good god, Kenny Banks killed it. “He’s having fun,” Wright said of him at one point. It’s true, he was. During his roof-ripping organ solo at the end of a cover of Neil Young’s “Old Man,” Banks was jamming so hard his tight dreadlocked bun came undone. The organ was also a nice touch, because it’s the only thematically appropriate instrument that can match the sustain in Wright’s voice. And, again, gospel. Wright’s voice is best when it has room to play with the notes and the words; when she can play with the sound and show off her range, instead of being stuck where the lyrics need her to be. The only moments when the show lost its energy were when the songs were about the words and not the feelings. There were two. Feelings are Wright’s ideal medium because her voice is something you feel. When you can carry as much emotion as she does in her voice, the words are emphatically a lower level of meaning. Wright is so human onstage, dancing and stomping her feet and playing with her tambourine in a Fitzgerald-esque purple dress. We understand what she’s saying so easily, so wordlessly, that leaning on words in her music almost feels like a waste. You can gather that she feels the same. When she talked about the beginning’s standing ovation, between songs she said the audience almost made her cry. “Which makes it hard to control my instrument,” she said, before going back to singing.